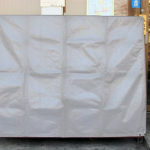 Stockpile Covers are low cost high quality covers that are quick to ship and deploy. 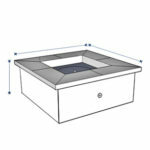 They are a less expensive alternative to rigid covers and fit all pile shapes. 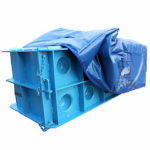 Stockpile covers are becoming very common as they are a less expensive alternative to rigid structure covers. They allow you to store commodities on a large scale with the ability to quickly remove or add the covers as needed. Rigid structures like domes are costly to erect, move, and are not temporary. 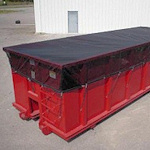 Stockpile covers however are inexpensive, quick to deploy, and can be temporary solution that is reusable. All of these benefits make the covers a fraction of the cost of other options. We offer a wide range of materials which are suitable for both short term and long term applications including polyethylene, polypropylene, films, and Vinyl. 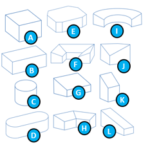 Each of these materials offer unique characteristics in terms of weight, tear strength and UV resistance. With so many choices to choose from, our team will suggest a material based on your application. 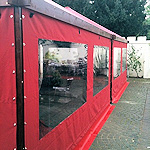 The covers are supplied as rolls which you will attach together onsite or as one piece construction depending on the area you need to cover. 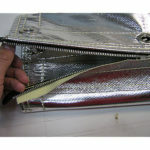 To fasten the covers together quickly and with great stregth we suggest using our stockpile fasteners. There are several methods to anchor your cover. For smaller stockpiles you can use heavy objects around the bottom perimeter to hold down the cover. For larger stockpiles it is common to use cables or ropes in conjunction with sandbags, gravel bags or our stockpile fasteners. You would arrange these anchors in a grid formation to hold the cover in place.